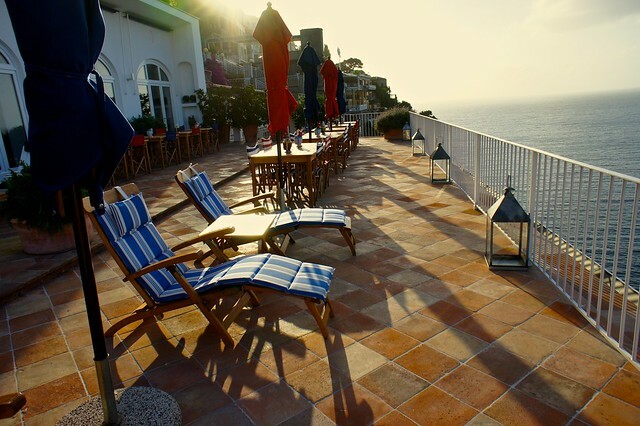 The Amalfi Coast is a welcome departure from most of the rest of Italy. This stretch of Mediterranean coastline south of Naples is much less about visits to museums and monuments and instead, as Maria puts it, “mostly about being out of doors.” Here, more than impressing you with great works of art and architecture, you will find yourself gasping with delight at the dramatic land--and sea--scape and the film set-ready villages tumbling down the rocky slopes to the sea. A visit to the Amalfi Coast is less about art and culture and more about simply being out of doors. Click to tweet. 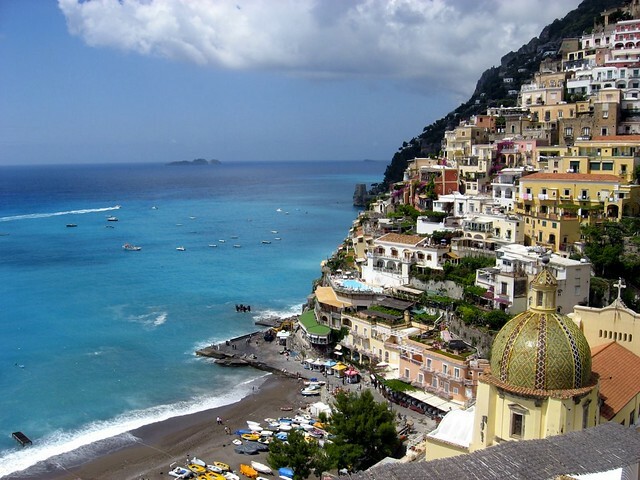 Begin your exploration of the Amalfi Coast from, um, outside the Amalfi Coast. Sorrento—the first town due north along the peninsula-- isn’t technically part of the Costiera Amalfitana, but is in some ways a better base to explore the area than the options further south. More of a “real” town than the tourist-dominated villages along the Coast, Sorrento is less expensive than its exclusive neighbors, less dramatically steep, and logistically well-located for transportation. Spend your first afternoon acclimating your eyes to beauty, as you visit the prettily unpretentious town with its shady gardens and lemon groves, scenic views over the Mediterranean (an especially panoramic spot is the Museo Correale’s belvedere terrace), and languid cafés. From Sorrento, take a private sunset “sail” (actually a motorboat). 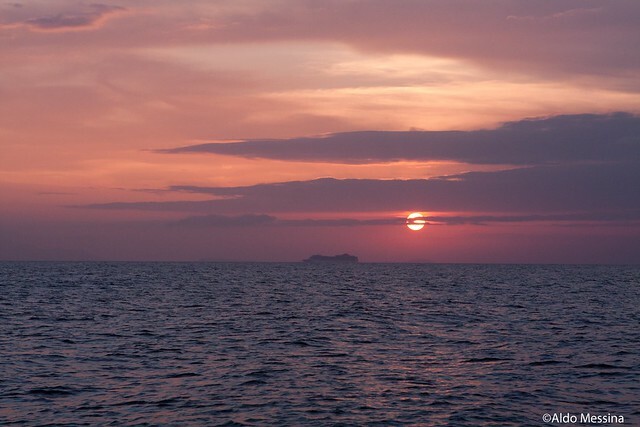 From the water, you can savor every momento of the famously gorgeous sunsets over the sea as the sun slowly sinks into the Mediterranean behind the craggy rock formations off the coast, coloring the world with a warm golden glow. Make sure you’ve brought along a bottle of Sorrento’s famous Limoncello, so you can toast to the end of a perfect day and the beginning of a perfect evening. 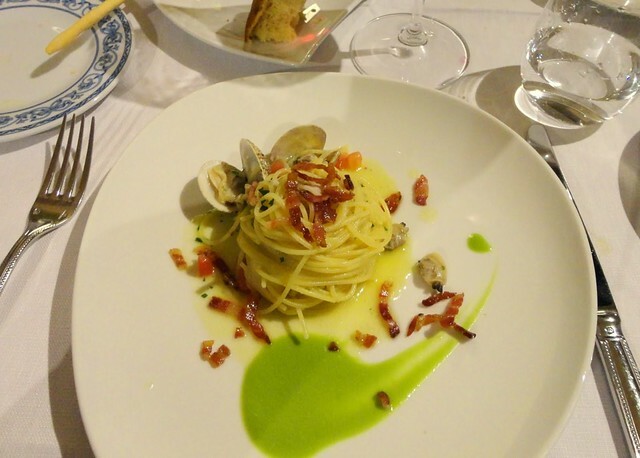 For a dinner as memorable as the sunset, head to Michelin Star chef Peppe Aversa’s Il Buco restaurant. Known for his refined take on traditional Sorrento specialties, Aversa’s contemporary preparation and presentation is as much a treat for the eye as for the palate. Sorrento is sunshine and Limoncello. Rinse and repeat. Click to tweet. The Amalfi Coast is best explored by sea, for reasons both aesthetic and logistical. The lone coastal road can get incredibly clogged in high season, and often visitors find that most of their day is spent in long traffic jams behind crawling tour buses. That said, this day’s sailing itinerary can be easily adapted to a private driver if you’re averse to spending the day on a boat or if the water is choppy (which can happen in the “shoulder seasons” of spring and fall). To best discover this beautiful and historic area, splurge on a private boat tour with a local captain, who can share the highlights of this area while bypassing the tourist crowds. With your exclusive boat, you have the flexibility to stop for a swim (we love la Marmorata, with its little waterfall and lagoon and lush green shoreline and Li Galli, a group of private islands off the coast of Positano where, according to legend, Ulysses resisted the song of the sirens), extra photos (you won’t be able to snap enough shots of the turquoise Fjord of Furore, dotted with tiny azure fishing boats, or Mount Vesuvius, ominously spewing out its volcanic ash), or lunch at a local seaside restaurant (we love Nerano’s family owned, seaside trattorias with their freshly-caught seafood) without having to stick to a group itinerary. Whether by land or by sea, your day should include some of the Amalfi Coast’s most photogenic villages, from microscopic Atrani to bustling Amalfi—one of Italy’s four historic Maritime Republics and one of the few towns along the coast that boasts an important 9th century Romanesque and Byzantine Duomo; from miniature Praiano to iconic Positano—whose brightly-painted villas and colorful tangle of flowers tumbling down the rocky coastline is one of the Amalfi Coast’s most fabulous sights. Even the most unromantic of traveler will swoon over Ravello, perched on a cliff overlooking the sea and famous for its exquisite villas, splendid gardens, awe-inspiring views, and tony visitors (Jacqueline Kennedy, Gore Vidal, and Virginia Woolf). If that isn’t enough VIP vibe, a visit to Conca Dei Marini will satisfy, with its view of Sophia Loren's villa hanging on a rocky slope. Here there is also the famous Emerald Grotto and the historic Santa Rosa convent, where the nuns created the famous sfogliatelle pastry years ago. You’ve had a spectacular—yet tiring—day (by sea, we hope! ), so tonight get your land legs back with a relaxing and casual dinner. Luckily, you are in the land of the king of casual fare: pizza! Born in nearby Naples, the pizza is excellent on the Amalfi Coast: wood-fired ovens, chewy, flavorful crusts, the freshest toppings. 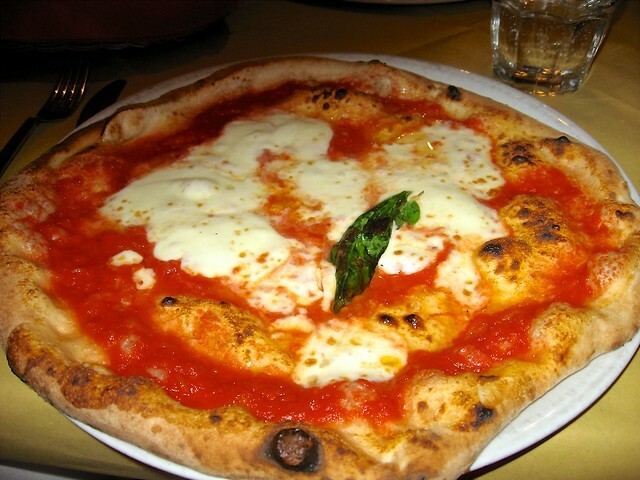 If you would like to respect tradition, order the Margherita (tomato sauce, mozzarella, basil), though a pie topped with fresh shellfish or anchovies are also good choices. The Amalfi Coast is best explored by sea, for reasons both aesthetic and logistical, so splurge on a boat tour. Click to tweet. 10:00 a.m. Surf or Turf? For your final morning, you’ll be faced with a tough decision: surf or turf? 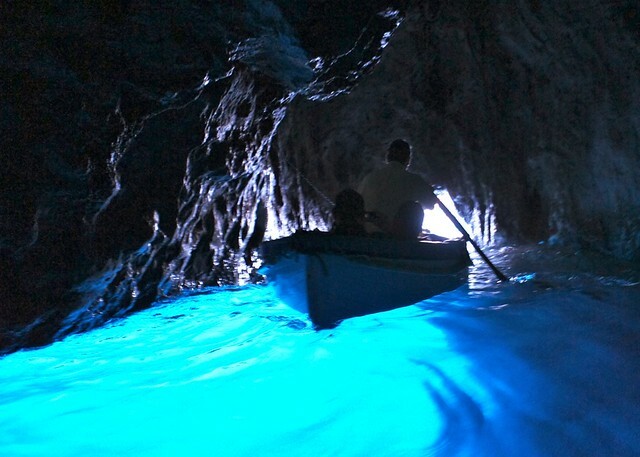 If you didn’t get enough of the sea yesterday, then today hop the hydrofoil to Capri. 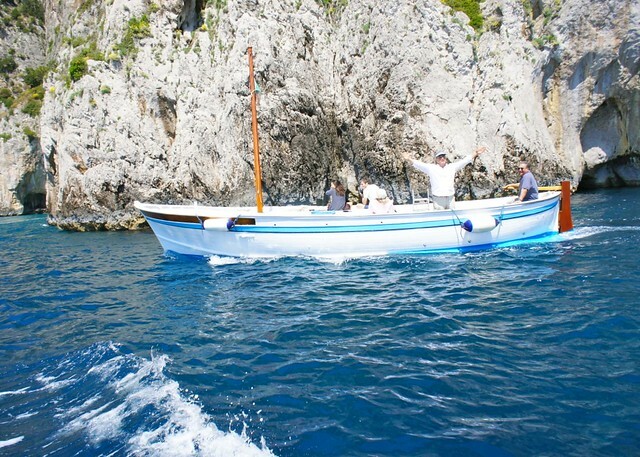 Here you can wander the island—including the Villa San Michele, the mosaics in the Church of San Michele, the quiet lemon groves, and the vibrant piazzetta, site of celebrity and A-list frivolity for decades; visit the Blue Grotto in one of the tiny tour row boats; book a private gozzo with a local skipper who can take you on a tour of the island from the water (the best way to see Capri in all of its splendor without the crowds); and have lunch. If you’d prefer to stay on land, the fabulous ruins of Pompeii are just around the corner. This city was famously destroyed by the eruption of Mt. Vesuvius in 79 AD, and a visit here is a fascinating peek into ancient Roman civilization, frozen in time under tons of ash. 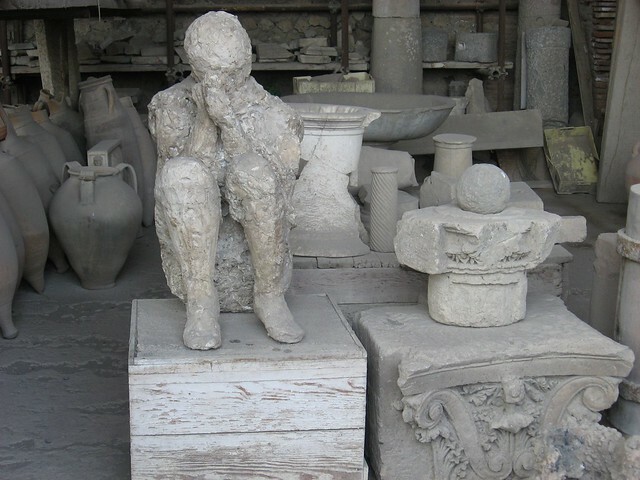 From here, you can either visit Herculaneum, the "resort town" of Pompeii's wealthy, destroyed by the same eruption and often considered better preserved than Pompeii, or visit the source of all this destruction: Mt. Vesuvius. Here the views of both the volcano and the bay are a lovely final photograph of your visit to this remarkably beautiful coast. 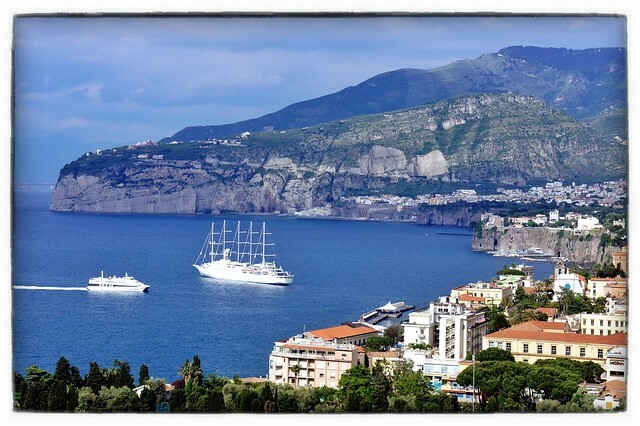 Sorrento is a perfect base for either Pompeii or Capri. Surf or turf: you decide. Click to tweet.